Business accounts receivable is an important accounting term to understand if you are going to have a successful and profitable business. We believe it’s so important that we made it a part of our company name—American Receivable. Simply put, business accounts receivable are the monies customers owe to a business for products and/or services provided. The key term is “owe”. Business accounts receivable are an asset to your company, but they don’t count as actual cash until the invoice is verifiably paid. Some companies fail because they have a lot of accounts receivable on record, but they don’t follow up well enough on actually getting invoices paid and money in the bank quickly. Without cash flow and money in an account, a business can’t sustain itself. Uncollected payments tie up money that can be used for growth, accounts payable, new orders, etc. Therefore, it is essential that a business has a solid system in place for invoicing, monitoring and collecting on accounts receivable in a timely manner. You are not in the business of giving goods and services for free, so allocating time and resources towards administrating your accounts receivable is good business practice. To Give Credit or Not to Give Credit? In retail, transactions are paid for at the time of purchase. However, in many business to business transactions, there are often terms for payment. This is the same as giving your clients credit, as they are receiving goods and services before paying for them. You may require a credit application to check on the prospective client’s payment history before allowing a longer term for their invoices. For example, your company may require payment in only 10 days after the date of the invoice before considering the payment late. For some companies, 30-day terms are the standard, especially when the client has a clean payment history. Whatever you choose, it is important to follow up with clients delinquent on their payment. If a client is consistently late, it may be worth requiring a deposit or shortening the payment terms for future transactions. There is really no excuse for not being diligent about your business accounts receivable. Thanks to popular computer accounting software, producing business account receivables reports, and keeping track of aging accounts is simple. You just need to make sure to schedule it and generate the needed reports so that you can contact the delinquent clients and remind them that payment is overdue. The longer you let nonpayment slide, the less likely you are to collect on it, and so early intervention can prevent later aggravation. What do you do when a client doesn’t pay and your company needs the cash? First of all, continue to reach out to the client and try to collect on the delinquent account. Another option is to take legal action, but this can be expensive—sometimes more than the amount you are owed. You can also consider factoring. American Receivable, the go-to source for factoring in Texas and throughout the nation, can help improve your business accounts receivable and help you make your business a success! Does your business accounts receivable need a boost? Are you thinking about factoring for your company help you get the cash your business needs? With offices in Dallas and Austin, American Receivable is ranked No. 1 nationally among small-business factoring companies. Since 1979, we have provided small businesses with the financial resources and business accounts receivable management strategies they need to grow, increase inventory, make payroll on time, and effectively compete in the marketplace. We can provide funding within as little as 24 hours in some cases. Call us for a FREE quote today at 1-800-297-6652, or complete this quick quote form. That sentiment rings true for small businesses throughout the U.S. as the dust of the 2016 presidential election settles and tax season approaches. During the campaign, President Trump focused on growing the economy by leveling the playing field, reducing regulations, repealing the Affordable Care Act and lowering taxes for businesses. While the rhetoric was music to the ears of many small business owners, others pointed to Trump’s lack of specifics as the reason for caution. In a January 18th USA Today article, writer Rhonda Abrams pointed out that Trump’s plan to reduce the corporate tax rate would likely only apply to “C” corporations. And she points out that “eliminating loopholes” could translate to a loss of deductions that many small business owners routinely take – like carrying forward business losses, claiming the use of your car or truck for business use and incentives for investors to fund new ventures. The truth is it will take months, if not years, and the cooperation of Congress for such sweeping changes to take place. In the meantime, here are 5 business tax deductions you should consider. In addition to conventional bank loans, factoring fees are also generally considered a business expense and are therefore deductible. You should discuss your particular situation with the factoring company and your tax professional to make sure your situation conforms with IRS requirements. If your business employs independent contractors to meet your labor needs, you may deduct that cost. Just be sure to provide any contractor who receives $600 or more in wages with Form 1099-MISC. Providing employee benefits, including health insurance, retirement, etc. Employee education assistance is deductible provided you set up a qualified educational assistance program that adheres to IRS regulations. The IRS currently allows businesses to deduct up to $5,250 for tuition reimbursement for employees. 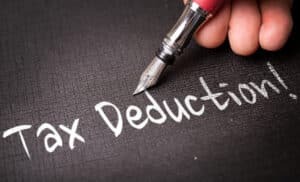 Before claiming any of these deductions, you should refer to IRS publications and discuss them with your tax professional or employee benefits consultant. Obviously, this article covered just a handful of the deductions small businesses can take. Are there others that you think our readers would find helpful? If so, please share them by posting a comment below. Starting a business is an exciting venture. Sole proprietorship allows you the freedom to Implement your own ideas, business procedures, and schedules as you wish. The decisions you make will not impact anyone except you. Working alone can be difficult when trying to jump-start a new business. Most people need help in some areas, especially with the financial aspect. Some people may be better suited for a collaborative effort. People have different strengths and weaknesses which is beneficial to the business. There is always a risk in a partnership. You have heard the saying “nothing is forever”. Many problems can arise when working with other people. Many people go into business with someone who initially seems to have the same mind-set and goals for the business. At some point during any partnership, egos, differences in opinion or direction may cause a rift in the partnership. When the partnership dissolves, there are often claims of ownership and property that can cause disputes. Partnership agreements can eliminate legal disputes that may arise from the split. 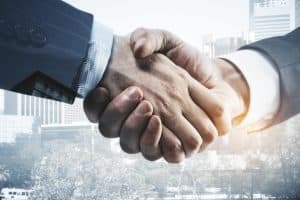 If one partner is going to keep the business, legal disputes can be expensive and result in the business being forced to close. Different skill sets, temperaments, and ideas can create diversity. However, the necessity for financial help, implementation of business procedures and creative ideas are worth the risk is you are protected. Business partnerships are often necessary and have the potential to make the business a success. However, a partnership agreement is unquestionably critical in making sure both parties are protected in the event the partnership dissolves. Choosing the right factoring company is an important decision for you and your business. The right factoring company will help you maintain cash flow and grow your business while the wrong choice can leave you with a bigger financial gap than when you started. Factoring has been around for centuries but has really only come to light as a legitimate source of cash flow for businesses in the last couple of decades. While bank loans are the most common form of financing for businesses, not every business qualifies for a loan large enough to cover their overhead. With invoice factoring, companies are able to maintain a steady cash flow without waiting the extended time for payment. Sounds great, right? But how do you know which company is the right fit for you and your business? With factoring becoming a popular means of cash flow, there are many companies to choose from. Websites like Top Ten Reviews allow you to search for companies specifically in your industry. So, you’ve found a few that sound like what you need, what’s next? The most important part of choosing the right company is understanding what they are offering and how their services will benefit you. In the age of technology, most companies have online chat services on their website for quick information, but to receive the quickest quotes and to get a more comprehensive understanding of the business and the employees there, it is always best to call. It’s critical that you are not only boosting your cash flow but are also comfortable with the staff to ensure a strong relationship. Here are some questions to ask when speaking with factoring companies. Remember, you are interviewing them just as they are interviewing you. What is the factoring companies application process? Typically, most companies will have an online application form for you to fill in your information and attach any documents requested. Most common types of information required are: name and age of business, owner information, amount of receivables to be factored, Articles of Incorporation, accounts receivable and payables agings, and profit and loss statements. As my business grows, does the factoring company have the resources to grow with us? The purpose factoring your invoices is to allow your business to have the cash to continue to grow. It’s important to find an established factoring company that has the means to support your current and future funding needs. What are your advance rates and fees? Depending on your industry, advance rates and fees can vary among factors. Factoring companies make their money off of fees which is a percentage of the face value of the invoice. These fees can range from 0.8%-3.0%. The advance rate is the percentage of the invoice that the factoring company gives you upfront as they await payment from your customer. These advances can range from 75%-90%. It’s important to understand and compare across factoring companies specializing in your industry and the services they offer. Some factoring companies may charge a small fee for an array of different services. Hidden fees to look for include but are not limited to: application and due diligence fees, origination fee, annual fee, chargeback and wire fees and early termination fee. Be sure to also discuss if there is a monthly minimum amount you must factor and if so, is there a fee associated with not meeting that minimum. Understanding the factoring industry and asking the right questions can lead you in the right direction to finding the right company for your factoring needs and ensuring success and growth for you and your business.